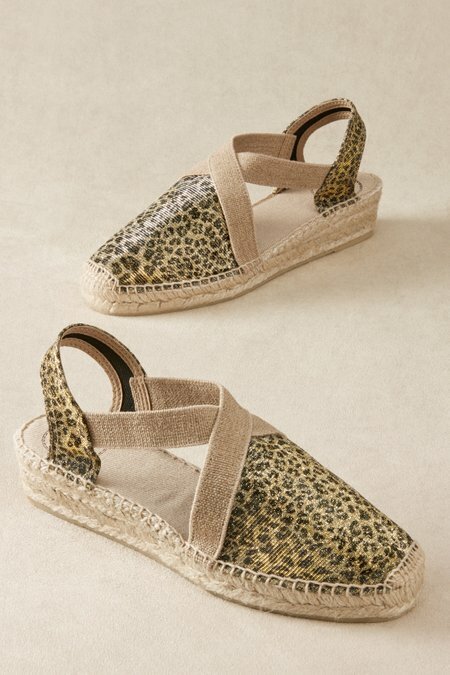 These luxe espadrilles from Spain feature thoughtful details in a favorite sling-back silhouette. Equal parts silk and cotton create the eye-catching fabrics, while elasticized bands give you a secure, easy slip-on. A padded footbed, jute-wrapped midsole, and a lower all-day heel make these evolved wedges chic, comfortable, and perfect for summer. 1-1/2" heel.